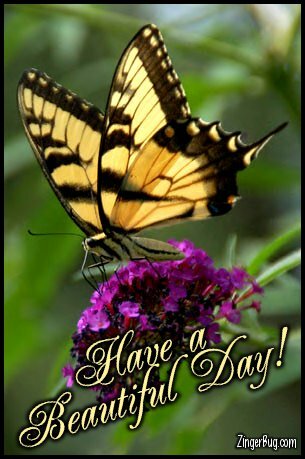 Send greetings to your friends and tell them to have a beautiful day! Whether there's a special occasion, or you just want to let someone know that you're thinking about them, these thoughtful greetings are sure to brighten someone's day! This page features two beautiful photographs, one of prairie grass silhouetted against a beautiful sunset, and the other of ice crystals on a pane of glass. The other image on this page is a colorful wiggle text reading "Have a great Day". Have a beautiful day! Have a great day! These beautiful photographs and glitter text images are perfect for posting on your profile, blog or any other web page. Daisies, snowflakes, ice crystals, iris, sunsets, light house, beaches, flowers, stars and other pretty pictures will conjure up images of beautiful places, travel destinations and peaceful relaxation. So even if you can't send your friends to these beautiful places, you can send the beautiful places to them! 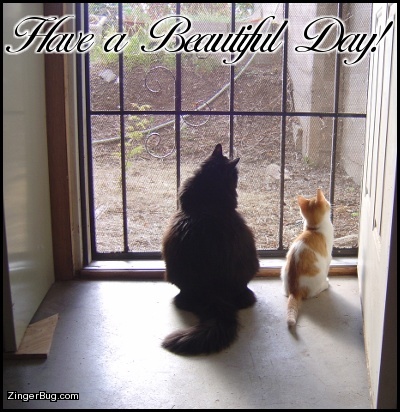 So be sure to have a beautiful day!